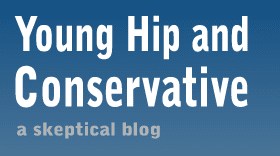 Young, Hip and Conservative: a skeptical blog: How many recycling bins is too many? Remember that episode where Penn and Teller wanted to see how many sorted recycling bins people could tolerate? Apparently British bureaucrats didn't understand that it was supposed to be a quest for the breaking point of environmental sacrifices, not a source of inspiration. "In a regime set to spread across the country, residents are being forced to juggle an astonishing nine separate bins. "There has already been a storm of protest with warnings that the scheme is too complex and homes simply don't have the space to deal with the myriad bins, bags and boxes." Nine different containers for each house? That's an absurd edict to enforce on the public. Keep in mind that this is England, where the authorities will comb through your trash and fine you if you put something in the wrong bin. What's more, the plan has some pretty serious environmental problems. "Samantha Dudley, 34, an office administrator from Newcastle, said recycling bags and their contents blowing in the street were a 'constant problem'. "She said: 'This scheme is supposed to increase recycling but the irony is it is creating more rubbish." And of course, this situation is the actual example used in textbooks for a "perverse incentive," where a plan causes the very thing it was supposed to prevent. I think this is pretty funny. Your example of the garbage sounds borderline "Orwellian". It just goes to show that a lot of times simple = better in trying to solve a policy problem. I cannot believe these officials in England thought that more recycling bins would yield a more efficient system. I know that in my town that officials have their hands full just trying to get residents to properly separate household garbage and recycling, never mind sub-sorting recycling. Also, why the harsh sanctions for improper separation? Why not work towards a system that promotes voluntary compliance instead of petty enforcement?